Come start the new year off right with a 2-mile hike led by one of the Park Rangers at Cedars of Lebanon State Park. The trail is fairly easy (and flat), but it is going to be cold so dress warmly, and bring water. All ages and sizes are welcome. We encourage runners, beginners, and even those who just want to enjoy a nice walk to join the Park Ranger. After the hike, there will be refreshments served at the nature center. The hike starts at 2:00 PM, so meet at the Dixon Merritt Nature Center at 1:45 PM. 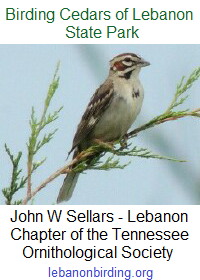 Contact Ranger Shauna Bridgers (Shauna.Bridgers@tn.gov) or the park office (615) 443-2769 for details.